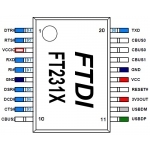 The FT231X is a USB to serial UART interface with full modem control and advanced features This IC comes in a 20-pin SSOP package and requires very few external components for operation! 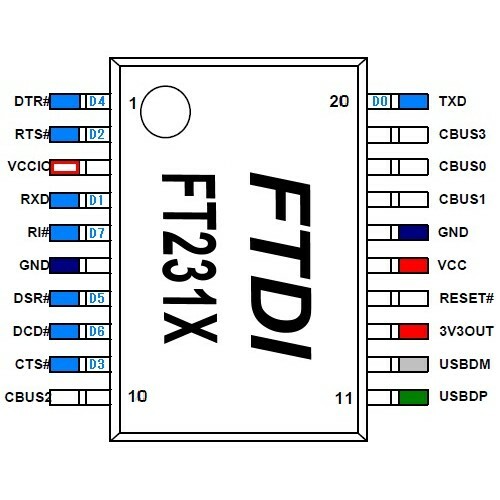 Operates down to 1V8 with external pull-ups. 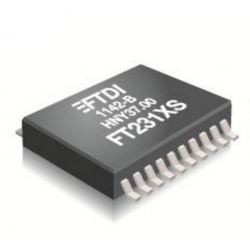 Tolerant of 5V input.